Testimony: I grew up in Jackson Tennessee where my parents were members of Englewood Baptist Church. At the age of 12 years, I received Christ while attending a revival. I immediately became very active and interested in the ministries of the church. A few years later, I had a “bad experience” at church and got away from the church for a time, although I was always aware of God’s presence in my life. After marrying my wife Lisa, we became very active at Englewood where I became a Sunday school teacher, deacon, and witness training instructor. Ministry: At the age of 30 years I owned a successful Consulting Company, when God called me to the ministry. 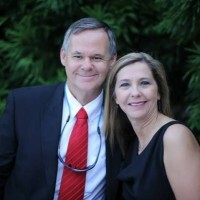 My wife and I along with our two children moved to New Orleans where I enrolled at the New Orleans Baptist Theological Seminary and received a Masters of Divinity degree, while on staff at First Baptist Church of New Orleans. After graduating from seminary, I was called as Minister of Evangelism at Harrisburg Baptist Church in Tupelo MS. After serving Harrisburg for several years, I was called to pastor Emmanuel Baptist Church in Athens AL. Eleven years ago, I was called to be the Senior Pastor at Broadmoor Baptist church in Memphis, which has now re-started as Waypoint Baptist Church in Bartlett. Education: I graduated from Northside High School in Jackson, TN; A.S. degree from Jackson State Community College; B.S. degree from Lambuth College in Jackson, TN; and M.Div. from New Orleans Baptist Theological Seminary. Family: I have been blessed with a wonderful wife for over 32 years, have two sons and two daughters, and four grandchildren. Hobbies: My hobbies include hunting, fishing, and boating. I am honored to be the pastor at Waypoint and am excited about what God has done, is doing, and is going to do in the days ahead.